So many implicit, normative cues dominate our culture via advertising. It’s easy to take these for granted. 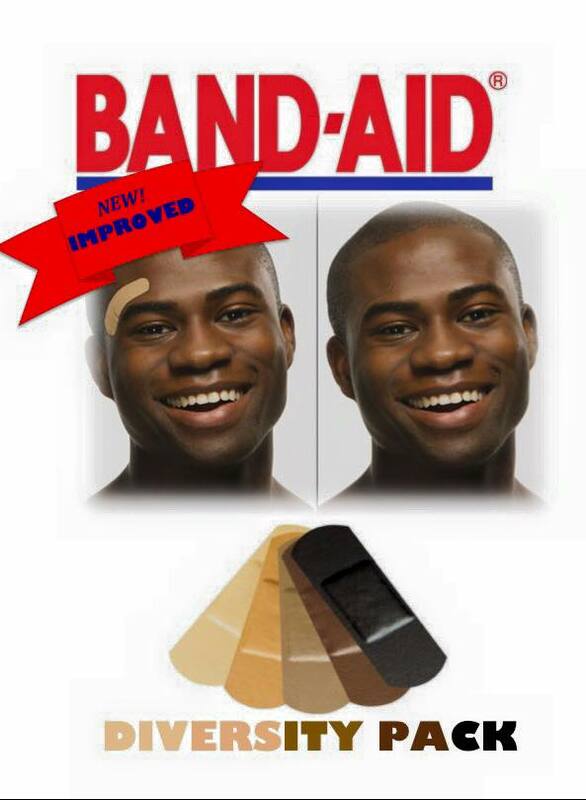 Less than a score ago, an entrepreneur developed an African-american flesh tone band-aid. However, for major brands like Johnson&Johnson, “flesh tone” is still synonymous with Caucasian. Why haven’t they accounted for the abundance of minority populations? When will it pay to be politically correct? The spoof ad I created above is my foray into subvertising; a playful way to “culture jam” and subvert the messages of mainstream media. Kindly stay posted for more works to come.